someone's deviation from the mean will be equal to the probability of their score. IQ scores are distributed normally, because they follow the central limit theorem. 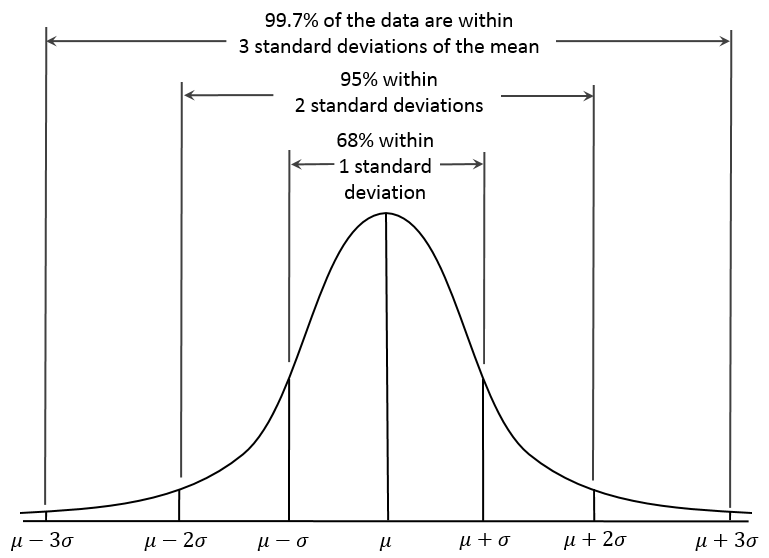 When we measure IQ scores in sufficiently large populations, they will be normally distributed. This holds for healthy controls, as well as groups of people with ADHD or reading disabilities (Kaplan et al., 2000), and also in people with mild to moderate mental retardation (Bellugi et al. (2003). Many biological variables follow a normal distribution quite well. This is a result of the central limit theorem, which says that when you take a large number of random numbers, the means of those numbers are approximately normally distributed (McDonald, 2012). When for example the weight distribution is sampled in a population, it will vary with age, nutrition, disease status etc. The addition of these independent random variables result in the variable (in this case weight) to become normally distributed ("bell shaped"), even if the original variables themselves are not normally distributed (source: wikipedia). Hence, your statement Do we as a society have the right attitude to variation in human intelligence? Because it seems to me we are either over-nurturing the extremes, or should not represent it as a normal distribution doesn't really apply here, as IQ score distributions have nothing to do with 'us as a society having the right to do something'. Not the answer you're looking for? Browse other questions tagged intelligence statistics or ask your own question. How is that Bell Curve can fit all the existing IQs exactly on the graph?